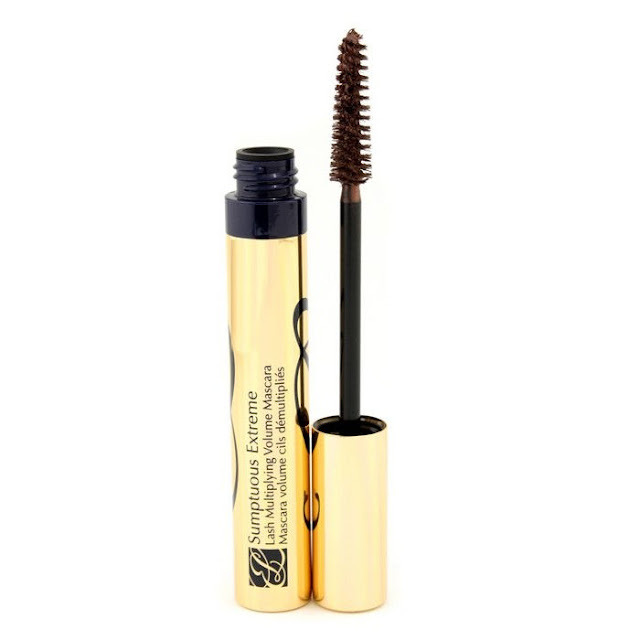 SUMPTUOUS EXTREME Lash Multiplying Volume Mascara in EXTREME BROWN 02 by ESTEE LAUDER - is another high quality product, which gives new dimension of the phrase "Beautiful eyelashes". 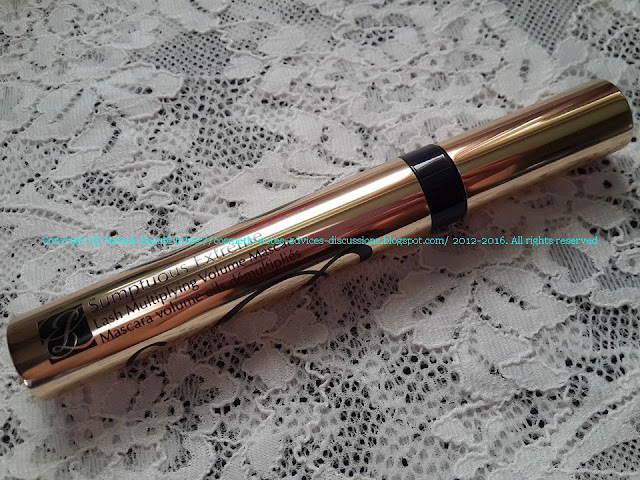 After my reviews about DOUBLE WEAR Zero-Smudge Lengthening Mascara, SUMPTUOUS EXTREME Lash Multiplying Volume Mascara in Extreme Black 01 and SUMPTUOUS Bold Volume Lifting Mascara in Brown 02, now I want to bring to your attention this unusual mascara color, which will make your eyes like the eyes of Bronze Goddess or Fantasy image. 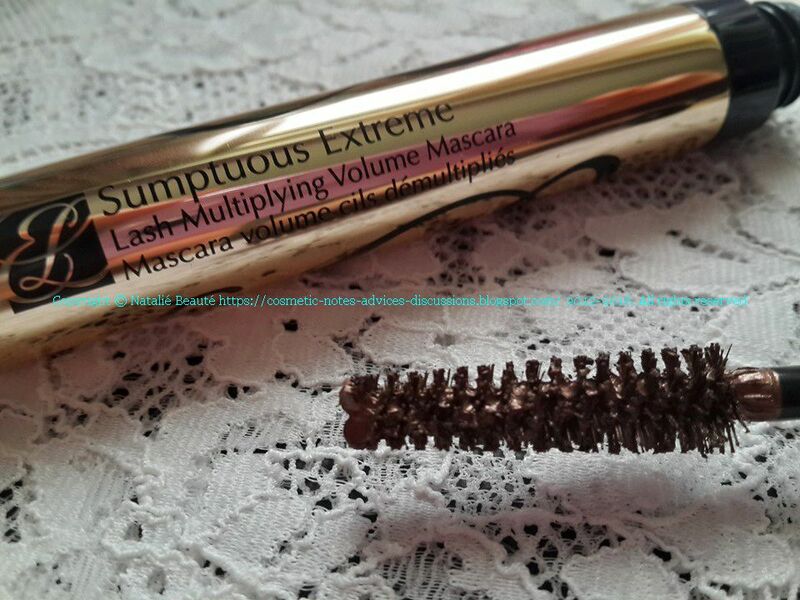 The characteristics of this product is the same as SUMPTUOUS EXTREME Lash Multiplying Volume Mascara in Extreme Black 01. OVERSIZED BRUSHCOMBER EXTREME™ THICKENS LIKE A BRUSH. 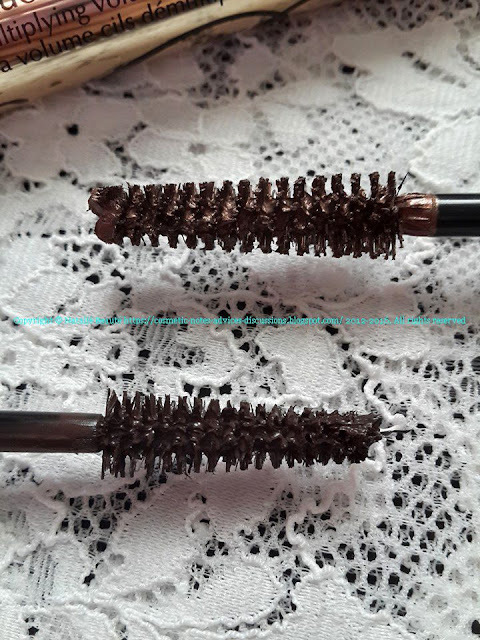 DEFINES AND SEPARATES LIKE A COMB. 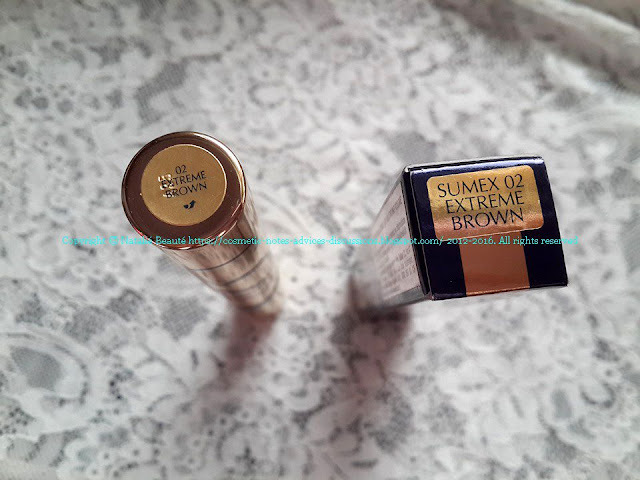 PRISMATIC PEARLS INTENSIFY PIGMENT AND LUSTER. 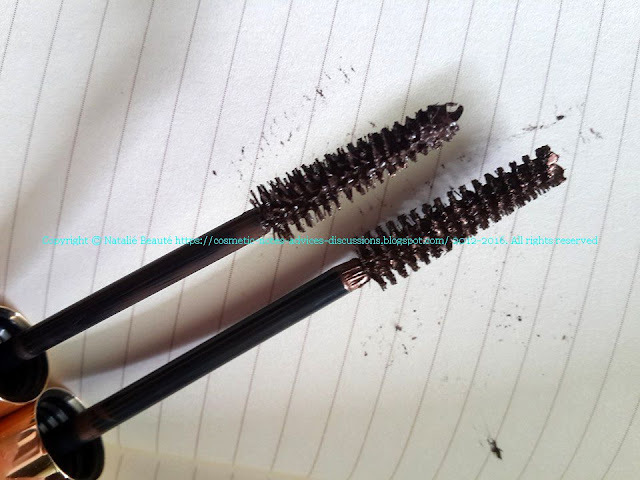 This is one of the best unusual colors for mascara (as you will see on the photos down below). 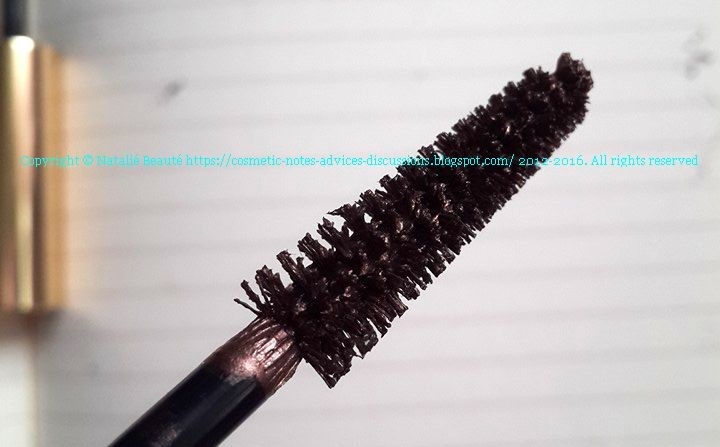 It's brush has the same characteristics like the reviewed by me same mascara in Extreme Black 01 - big brush (it takes little time at the beginning to learn how to manage your work with it), very good ability to separate the eyelashes, to curve them, to make them bold, thick, spread like a fan. Once applied, on the eyelashes it looks like fine bronze dust and it's especially beautiful under the sun. 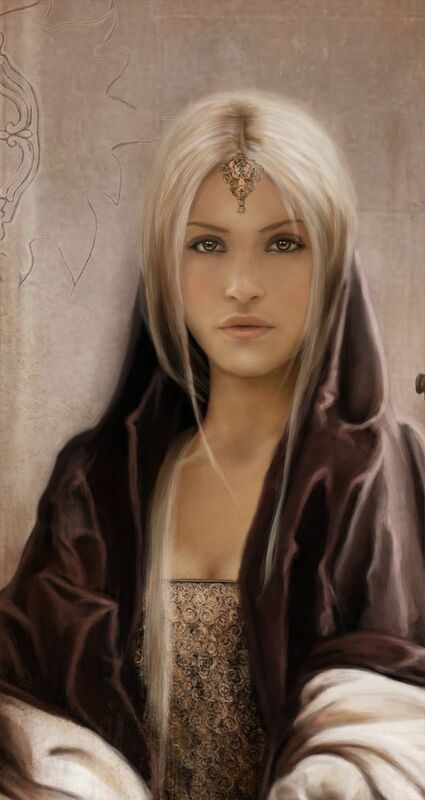 Very suitable and beautiful on blonde ladies. The product comes in paper box. 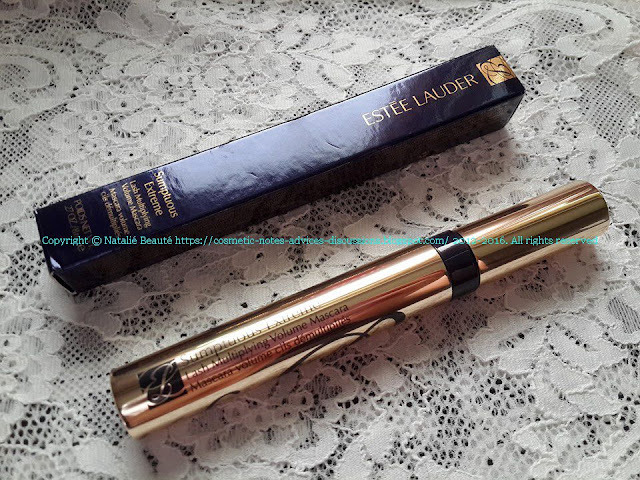 The mascara is designed in gold with the traditional EL logo - very luxurious package. 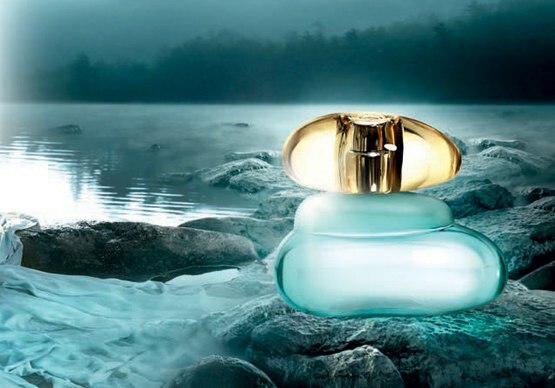 TIP: keep it in its paper box, because it can be easily scratched from the other products in your purse. Easy to remove - just with water. 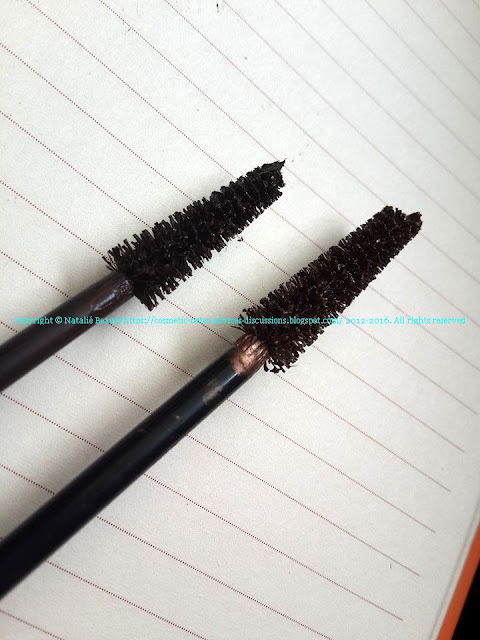 No color residue on the upper or lower eyelid, during the day.